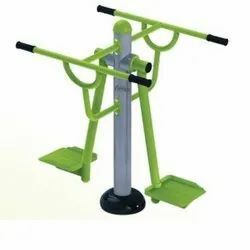 Leading Manufacturer of double standing twister, rowing machine, double skiing machine, fitness rider, air swing and leg press machine from New Delhi. The double waist twister can be used by 2 people at a time. 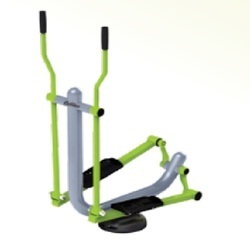 The user holds that handles and rotates the lower bode and middle body. 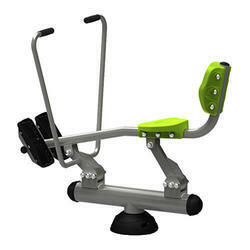 The Rowing Machine uses virtually every major muscle group in the body. Puts little pressure on the joints, due and helps in working on legs, hips and buttocks with each stroke. They also use upper-body muscles, strengthening the back, shoulders and arms. The double Skiing Machine is a cross trainer that can be used by 2 people at the same time. 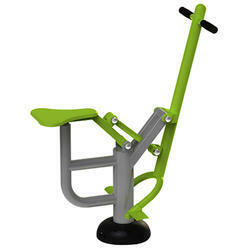 It consists of swing like legs support and has movable handles for arms. 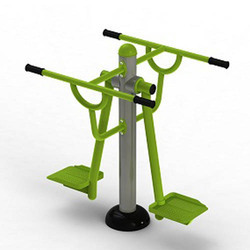 It maintains a proper balance for complete body work out. 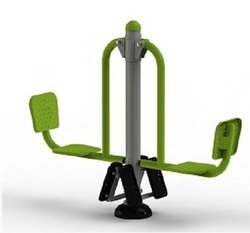 Air Swing is the widely used outdoor fitness equipment designed especially for building up strength of arm muscles and stretching of oblique. The leg press machine can be used by 2 people at a time. It helps in proper leg and back positioning while working on quadriceps. It helps in Working on your chest and isolates the muscle without stress. The intensity can be increased. 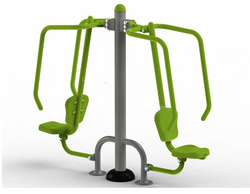 We are the leading supplier and manufacturer of Double Surf Board for outdoor gym equipment. 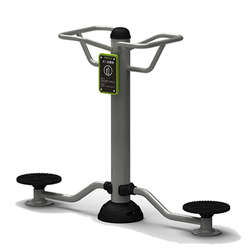 The Elliptical Exerciser delivers cardiovascular benefits through elliptical motion and strengthens the upper and lower body muscles. The handles are to be held with both hands and rotated 180 Degrees. 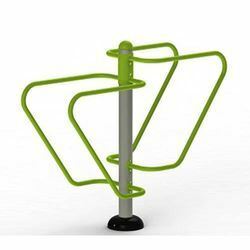 We are the leading supplier and manufacturer of Push Up Dip Station. 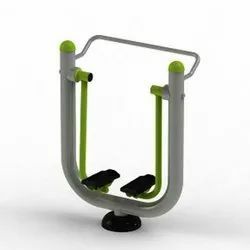 A variety of exercises can be performed on this equipment like push-ups , dips etc. 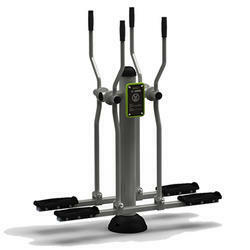 Air Walker is the best alternative to elliptical training equipment. 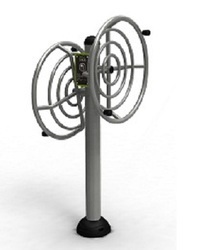 It has pedals traveling in a smooth and arched path, creating a jogging, running or walking motion.